Interiors Stores Clothes, Technology And Food. 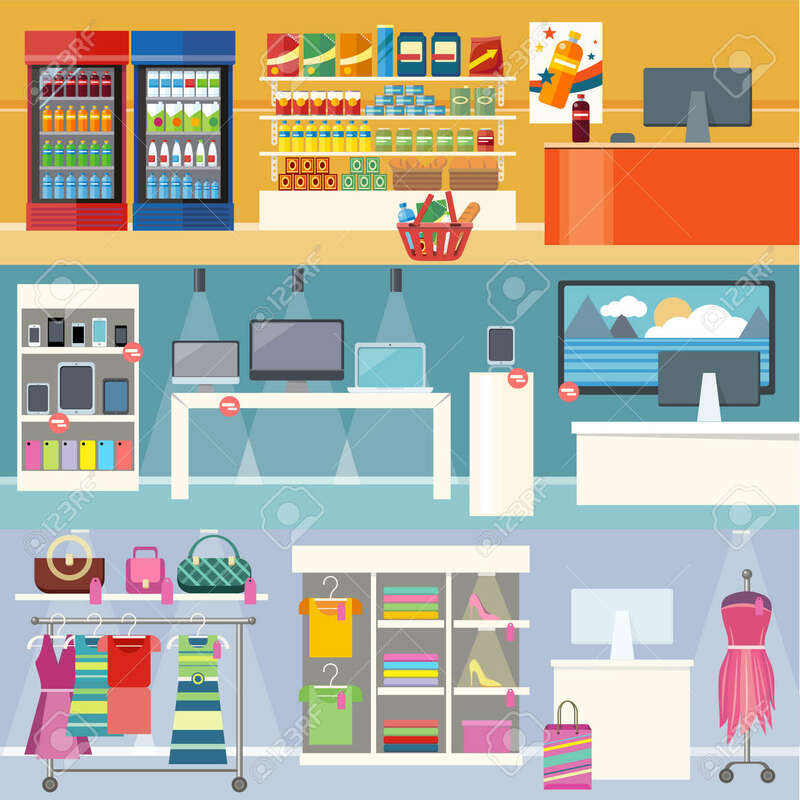 Smartphone And Clothing, Grocery Market, Retail And Supermarket, Business And Shopping, Consumerism Shop Illustration. Supermarket Interior. Retail Store Royalty Free Kliparty, Vektory A Ilustrace. Image 51593947.